It’s the end of the month, again. Weird right, how the months just keep ending? Okay, this just got too real. For the past two months I’ve been doing these post where I tell you my month’s favorites. And I’m about to do it again! For the people that want to see my other two posts, there right here and here. Here are my July favorites. I always kick things off with some music. You’ve probably heard this by now, I mean everybody is talking about it, but Disney’s Pixar did it again! They made this awesome new movie, Inside Out. I’ve already seen it twice. Go see it! Let your eyes enjoy the awesomeness. Okay, back to the music. Pixar always has these fun shorts before the actual movie starts and this time they nailed it. I can’t actually find the clip, but I do have the song! It’s about a volcano that’s looking for love. Who doesn’t like a volcano that can sing! I love reading, most people on wordpress probably do. I mean, we write blogs for a reason. We like words! This month I’ve got sucked into the world of Game of Thrones. Those books are truly amazing. The way George R.R. Martin can create a universe with such fascinating characters is truly amazing. It’s a lot to get into, though. To be able to create a universe as complex as his, he needs a lot of words. But trust me, it’s worth it. I’m curious how he’s going to end this epic tale, but we’ll just have to wait and see. Every month I look for another six-word story. I just love how six words can mean so much more! This one’s good! Painfully, he changed ‘is’ to ‘was’. Some of you may know by now that my older sister loves to cook and bake, and is crazy good at it. 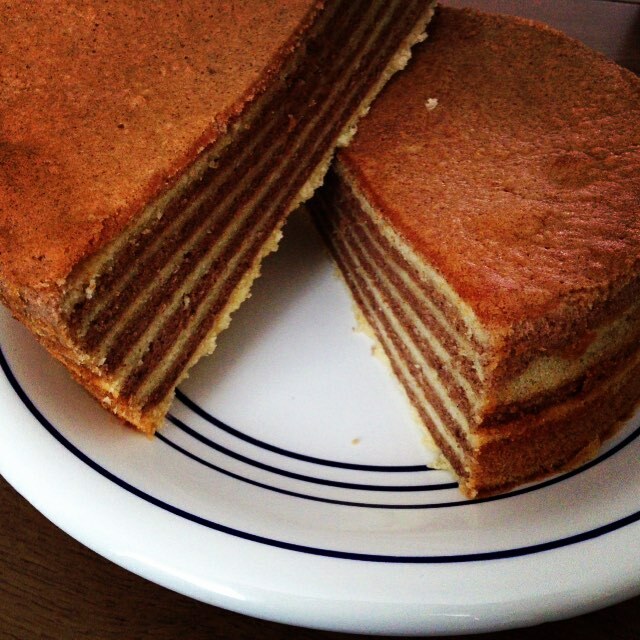 Well, this month she made something we call ‘spekkoek’. I don’t know what it is, exactly, but it’s amazing. This is the actual ‘spekkoek’ that my sister made!!! I don’t just love words. I love art as well. 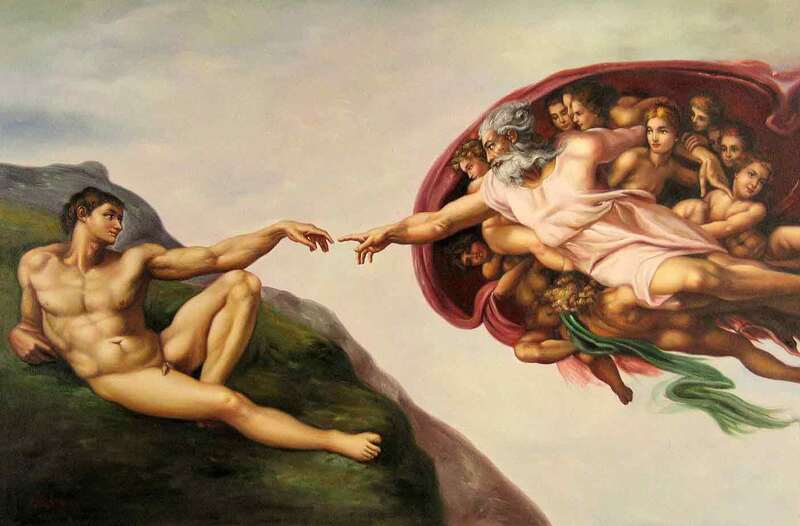 ‘The creation of Adam’ by Michelangelo. I think most of you have seen this painting before. I don’t know why, but I’ve always loved this painting. Michelangelo was a true artist. I always add a joke as well. I mean, everybody needs to laugh once in a while. Just some words to inspire you. I like to end my posts on a high note. There are so many inspiring bloggers out there who write amazing stories, I just want to share their awesomeness with all of you. This month it’s a post that made me ugly-cry, because I was laughing so much! 16 signs you’re a total Stress-head by Robyn Christi!! !